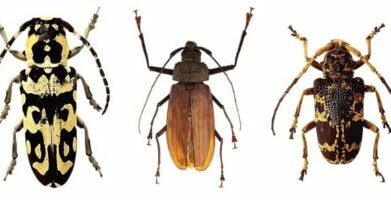 What are the Different Types of Beetles? 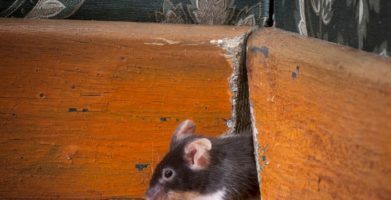 What do mysterious pinholes in wood flooring, furniture, or trim; damaged carpets and fabric; and discolored or foul smelling flour have in common? These can all be signs of a beetle infestation. Beetles are a slightly less common household pest, but when they are present in your home, they can cause significant damage. Find out about the different types of beetles and how to identify them so you can catch a problem before it gets out of control. Wood-boring beetles – These pests can be found throughout the United States. Wood-boring beetles are noteworthy because of the damage they cause to furniture, structural and decorative wood in and around homes and other buildings. 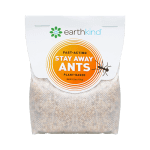 Pantry beetles – These pests are cause for concern because of the damage they cause to stored products and packaged food. 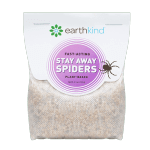 They are distributed throughout the United States and are most commonly encountered in warehouses, grocery stores, and home pantries. Sawtoothed grain beetle and merchant grain beetle. Confused flour beetle and red grain flour beetle. Carpet beetles – These pests can be found throughout the United States and are noted for the damage they cause to fabrics and upholstered furniture. 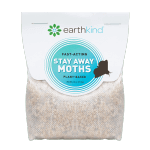 Stink beetles – Unlike the brown marmorated stink bug which is found east of the Mississippi River, stink beetles are typically found in the western United States. 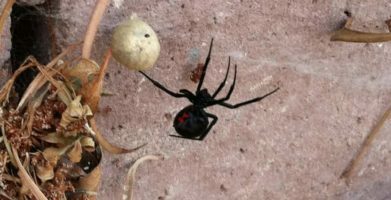 They are ‘occasional invaders,’ infrequently wandering into homes and buildings during the summer months. Stink beetles are nuisance pests, but do not pose a threat to people or pets. Beetles are generally identified by their hardened, shell-like bodies which appear to have a line running down their backs. They come in a wide variety of shapes, sizes, and colors. Despite its appearance, a beetle does not, in fact, have a shell. Two hardened wings create the appearance of a shell, and cause a line running down the beetle’s back where the wings meet. Determining how to identify a beetle might seem difficult because you may see the damage they are causing before you see the insects themselves. Wood-boring beetles leave behind frass, or the waste they pass, which may look similar to sawdust. They also leave small, round or oval shaped exit holes where they emerge from wood. Pantry beetles can cause flour to become discolored, and smell funny. They may also be seen in flour, and have a small tubular appearance. Carpet beetles prefer dark, undisturbed places such as the seams of furniture, or underneath rugs and carpets — this makes it very difficult to spot the beetle, or the damage it is causing. Stink beetles leave an offensive odor on items they come into contact with that may last for weeks. The best way to get rid of beetles is to prevent an infestation before it begins. Knowing the signs of a beetle infestation and what they are attracted to will make it easier to prevent the problem. Carefully inspecting new items and their packaging for pests before bringing anything into your home. Storing dry goods and pantry items in airtight containers. Periodic cleaning and inspection of upholstered furniture. Regular home maintenance to seal potential pest entry points. For extra protection against beetles and other household pests, a natural repellent like Stay Away® can be used to create an invisible barrier that beetles and bugs will not cross. The scent of essential oils in Stay Away obscures any appealing aromas of food or scent trails insects may follow into your home without the use of harmful chemicals. Beetles are a slightly less common household pest, but when they are present in your home, they can cause significant damage. Find out about the different types of beetles and how to identify them so you can catch a problem before it gets out of control. Wood-boring beetles - These pests can be found throughout the United States. Wood-boring beetles are noteworthy because of the damage they cause to furniture, structural and decorative wood in and around homes and other buildings. Pantry beetles - These pests are cause for concern because of the damage they cause to stored products and packaged food. They are distributed throughout the United States and are most commonly encountered in warehouses, grocery stores, and home pantries. Carpet beetles - These pests can be found throughout the United States and are noted for the damage they cause to fabrics and upholstered furniture. Stink beetles - Unlike the brown marmorated stink bug which is found east of the Mississippi River, stink beetles are typically found in the western United States. They are ‘occasional invaders,’ infrequently wandering into homes and buildings during the summer months. Stink beetles are nuisance pests, but do not pose a threat to people or pets. Beetles are generally identified by their hardened, shell-like bodies which appear to have a line running down their backs. They come in a wide variety of shapes, sizes, and colors. Despite its appearance, a beetle does not, in fact, have a shell. Two hardened wings create the appearance of a shell, and cause a line running down the beetle’s back where the wings meet. Determining how to identify a beetle might seem difficult because you may see the damage they are causing before you see the insects themselves. Carpet beetles prefer dark, undisturbed places such as the seams of furniture, or underneath rugs and carpets -- this makes it very difficult to spot the beetle, or the damage it is causing. string(53) "Different Types of Beetles & How to Identify Them"